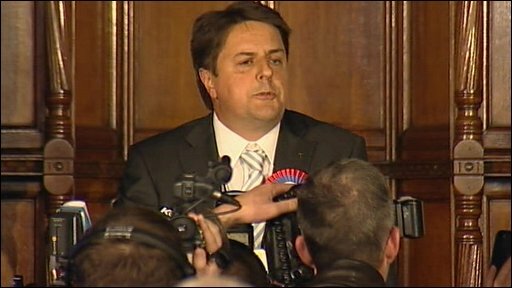 BNP leader Nick Griffin has attacked the media and the UK's "political elite", saying that voters had given their verdict on their "lies". His comments came after the British National Party won two sets in the European Parliament. It is the first time the far-right group will have MEPs in Brussels.